The city of Spokane has become a hub for great basketball thanks to fundamental programs and local collegiate power houses. Helen Higgs knows this better than anyone. 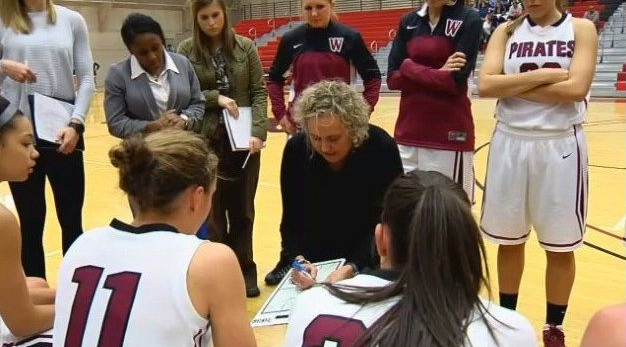 She’s well-known around Spokane since leading the Whitworth University Women’s Basketball Team’s head coach, and now she’s apart of our Spokane Hoops’ squad. Helen’s joining our team as a Board Member, one of the most important positions within our organization. She’ll work behind-the-scenes to make sure that Hoopfest Weekend and other programs are the best that they can possibly be. 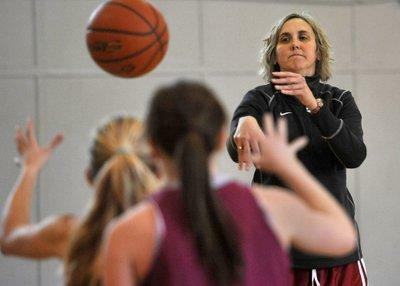 Coaching the Whitworth women’s team for 24 years, Helen is the school’s winningest coach in women’s basketball history. She’s won the Northwest Conference’s Coach of the Year award three times (1995, 2002, 2003) and led the Pirates to back-to-back appearances in the NCAA Division III tournament. To say Helen “knows hoops” would be an understatement! Besides her basketball prowess, Helen is known for her infectious positivity and leadership, even earning her Ph.D. in Leadership Studies from Gonzaga University in 2012. We’re looking forward to witnessing Helen’s personality, professionalism and leadership qualities enhance all of our Spokane Hoops programs and events. Help us in welcoming Helen Higgs to our roster of Board Members! We’re thankful to have such a well-rounded (and well-liked!) leader on our team.